Historical Marker #88 in Jefferson County celebrates the Old Bank of Louisville building. Constructed in 1837, this National Historic Landmark is an excellent example of the Greek Revival-style of architecture. Notable architect Gideon Shyrock oversaw construction of the building. The Lexington native was well-known for bringing the Greek Revival-style to the Bluegrass, including his design of the Old State Capitol building in Frankfort. Shortly after Shyrock moved to Louisville in 1835, he was appointed the city architect. 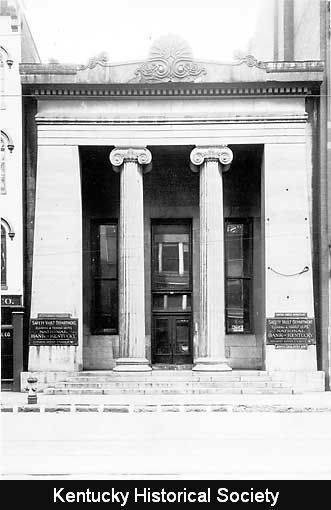 The Old Bank of Louisville building is "generally accepted" to be the first city building constructed under Shyrock's supervision. However, much of the original design has been credited to designer James Dakin. It is assumed that Shryock made additions to the design throughout construction to improve the attractiveness of the façade. The brick and limestone exterior of the building exudes Grecian influence, combining Ionic columns, palmette motifs, and a portico of battered antae. The interior features Corinthian columns and an elliptical dome. The final product was "marked by Shryock"s creative use of detail, excellent proportions, and a functional approach to planning." Besides housing the Bank of Louisville, the building has been home to the Actor's Theatre of Louisville, and was designated as a National Historic Landmark in 1971. Bank of Louisville: The Old Bank of Louisville was constructed in 1837 under the direction of famed architect Gideon Shryock. Courtesy of the Kentucky Historical Society. 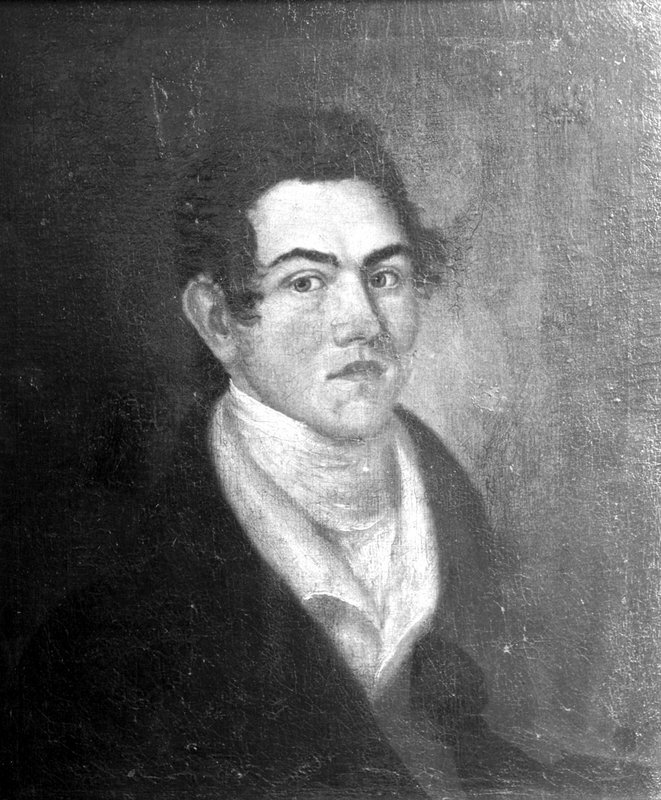 Gideon Shryock: The city architect for Louisville, Gideon Shryock's first project was supervising the construction of the Old Bank of Louisville. Shryock popularized the Greek Revival style of architecture in Kentucky, designing the Old State Capitol building, and Old Morrison at Transylvania University, also a National Historic Landmark. Courtesy of the University of Kentucky. Bank of Louisville: The Old Bank of Louisville features the Greek Revival style of architecture, popular in America during the time of construction, and used in Kentucky by architect Gideon Shyrock. Courtesy of the University of Kentucky. 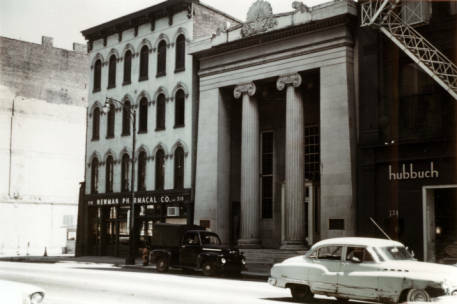 Bank of Louisville: This photograph shows the building in the mid-twentieth century. Courtesy of the University of Louisville. 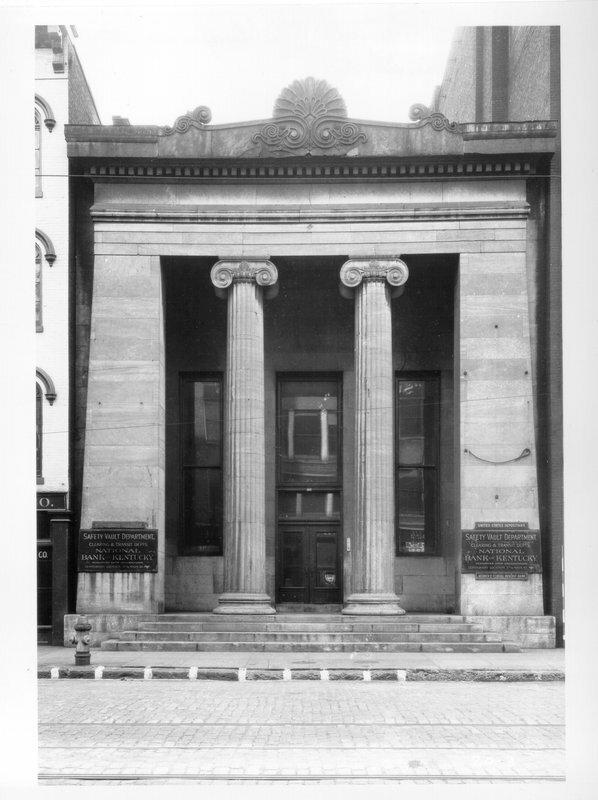 McKenzie Martin, “The Bank of Louisville,” ExploreKYHistory, accessed April 22, 2019, https://explorekyhistory.ky.gov/items/show/582.